Please note that the submission deadline for papers, extended abstracts and poster abstracts has been extended until 30 April 2019. Due to this the notifications of acceptance (24 June 2019) and the final version deadline (10 July 2019) have also been extended. 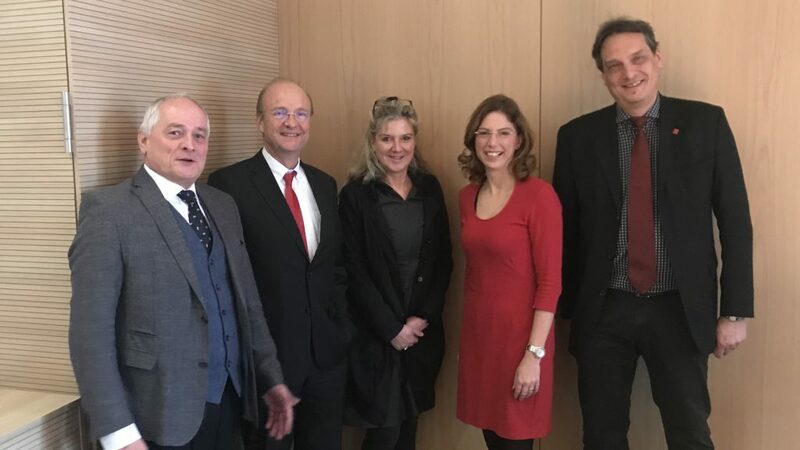 Minister Bätzing-Lichtenthäler, federal state Rhineland-Palatinate, visits JGU to hear about demographic contents in the Programme of the upcoming Social Simulation Conference 2019.